Now That Elk Grove's MLS Dream is Over, What of the 99-acres, Political Implications? Perhaps because 2016 is an election year, there has been little talk recently from the Elk Grove City Council about two of the city's most ambitious, and many say troubled, projects - the proposed aquatics facility and the professional soccer stadium and competitive fields. While the aquatics center is treading water, based on the events that are happening today in Sacramento, one can realistically wake up the Elk Grove City Council from their dreams of landing a Major League Soccer (MLS) expansion franchise. Wake-up fellas - your dream is over! Today, an entourage led by MLS Commissioner Don "Soccer Don" Garber is visiting Sacramento and is having the red carpet rolled out by the City of Sacramento and Sacramento Republic FC in hopes of landing a coveted expansion franchise. As part of their visit, a block party is being held today to show the Soccer Don just how much the city and its fans will support a team. Unfortunately for the Elk Grove City Council, there are no announced visits by Garber and his posse to the 99-acre parcel the city purchased, at an inflated price, in hopes of landing one of the expansion teams. Of course, what is unfortunate news for Mayor Gary Davis and Councilman Steve Detrick, is a fortunate development for Elk Grove taxpayers who might be relieved of an enormous potential financial burden from that scheme. 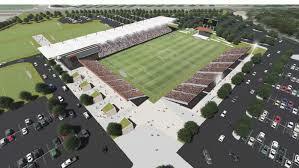 Now that the MLS dream is over, what will become of the 99-acres that Elk Grove bought on borrowed money? What are the political implications? Should Elk Grove decide to pursue the soccer fields, how will it be financed? Will the proposed sales taxes the City Council is considering be used for this, or will the city issue high-interest bonds? Furthermore, are the fields needed as we have repeatedly been told? One person with intimate familiarity with Elk Grove youth soccer has asserted to Elk Grove News that there are plenty of fields in the inventory of the Cosumnes Community Services District, and the reputed scarcity of fields is fabricated by one of the city's leading youth soccer leagues for their parochial purposes. What if the Elk Grove City Council decides to throw in the towel on the whole soccer field idea, what becomes of the 99-acres? Are the 99-acres sold to some developer, at a tidy little profit to justify the transaction, who then builds another 500 or more rooftops? It is no coincidence that the 99-acres are outside current city limits, and the city is trying to annex that land as well as several hundreds of adjacent acres through a sphere of influence application with the Sacramento LAFCo. Maybe the application gets approved, the city bails on the soccer fields, and voila, more land is open for development. Politically, the soccer stadium dream is problematic for two current members of the Elk Grove City Council. As the driving force on the soccer stadium and competitive fields, Davis has long been tied to the project, and it likely will become an issue that his two opponents will emphasize this fall in the general election. The bigger challenge might face Detrick. While Davis will be tagged as the originator of the scheme, Detrick is the council member who saved it from efforts by former Councilman Bob Trigg and current Councilman Pat Hume who tried to deep-six the project almost two years ago during the June 14, 2014, Elk Grove City Council meeting. Hume and Trigg, along with Elk Grove City Manager Laura Gill, had it all set up to kill the project (watch video below). Understand, Hume and especially Gill, would not have made this bold of a move without the needed votes. At the time, then-Councilman Jim Cooper was aligned with Davis, so that left Detrick as the swing vote. While Detrick at first seemed to line-up with Hume and Trigg, when the vote came, he broke and voted with Davis and Cooper to keep the soccer project going forward. Interestingly, a few months later the city's exclusive partner in the soccer field development, former California State Assembly Speaker and Northern California Soccer Principal (NCS) Fabian Nunez, gave Detrick a $2,500 donation (see page 12) during his annual fundraising event. Is it possible that the NCS representative referenced by Detrick in the video posted below intervened and got a message, say by text, to Detrick during deliberations that swung his vote? Unless Detrick comes clean, we will never know why he seemingly flipped on Hume and voted to keep the soccer stadium project afloat. Although he faces no known opponents for his November reelection, this question of his responsibility for keeping this scheme from sunsetting may well resurface.